Deputy Foreign Minister says UNRWA has failed to do its job and should conclude its role as an agency which perpetuates fake refugees. Deputy Foreign Minister Tzipi Hotovely (Likud) on Wednesday spoke with the BBC about the United States’ decision to cut by half the funding it provides to UNRWA, the UN’s agency for “Palestinian refugees”. “There is only one version of history. They started a war after not accepting the idea of the UN Partition Plan. We need to remember that,” she added. 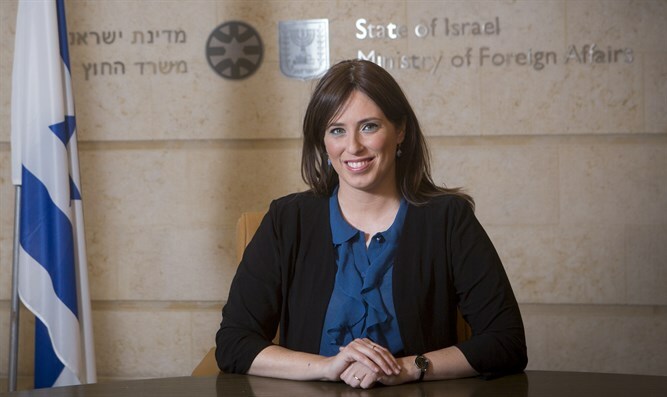 “The Foreign Ministry is very clear about its message: UNRWA should finish its role as an agency which perpetuates fake refugees,” said Hotovely, who also stressed the importance of foreign aid.